This brochure from 1969 – another from Derek Minter’s files – is a magnetic map of Church Stretton in Shropshire. It says it is a test area, so presumably the survey and the brochure were done to provide marketing material for the Geophysics Department. Fairey News was the newsletter of the Fairey Group, and had items from all the subsidiary companies. Fairey Review was an earlier incarnation of the same thing, but much bigger and glossier. We have only one copy of Fairey News, from 1972, and two copies of the Fairey Review, courtesy of Lawrence Scott, from December 1960 and June 1964. 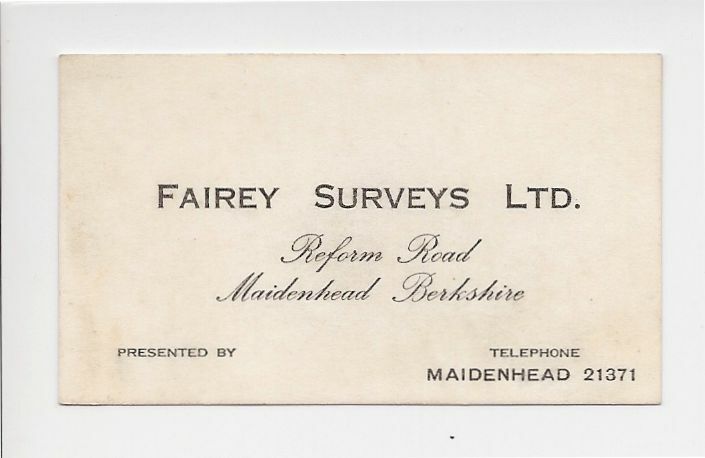 The content covers the very varied and specialised work done by the Fairey Group: beer kegs from Fairey Stainless, power boats from Fairey Marine, air and ground survey work by Fairey Air Surveys for the Maidenhead bypass (first bit of the M4? ), nuclear, military and radio telescope work from Fairey Engineering, and much more. These files are very big, and may take a few minutes to display. If you are using Firefox / Mozilla, the photographs may not display very well. If you have a download option (top right of the screen, after the file has downloaded) select it and then open the file with Adobe Reader.